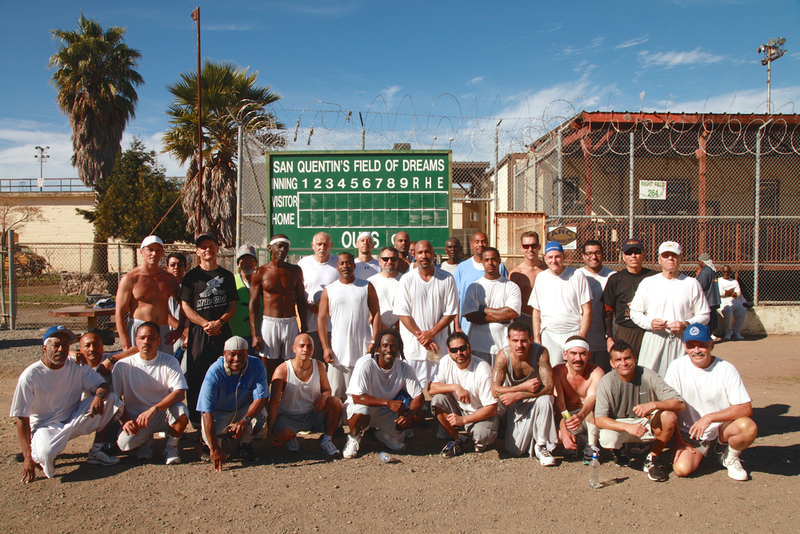 The 1000 Mile Club is the organized running club at San Quentin Prison. The club is coached and sponsored by the Tamalpa Running Club located in Marin County, California. Tamalpa coaches are seasoned runners who have competed at various distances ranging from track sprints to 100-mile ultramarathons. Coaches train at San Quentin with members of the 1000 Mile Club and share their running experiences, training methods, and race strategies. The goal of the the 1000 Mile Club is to provide motivated inmates with the opportunity to experience the physical and mental rewards that running, particularly long distance running, can provide. Many members of the 1000 Mile Club are first time runners who benefit from the coaching, camaraderie, and organized running events. Club members are physically, ethnically, and racially diverse and range in age from early 20’s to early 70’s. There are approximately fifty members of the 1000 Mile Club. The 1000 Mile Club is self-managed. Inmates elect the club officers, recruit members, maintain the roster, develop the competition schedule, and record member miles. The volunteer coaches, under the leadership of USA Track and Field certified Frank Ruona, run the workouts and competitions. The club began in 2005 when San Quentin Community Liaison Representative Laura Bowman contacted the local Tamalpa Running Club to inquire about helping a small group of inmates who were running at the prison. Tamalpan Frank Ruona volunteered to begin coaching and running with the group. Ruona and Bowman formed the 1000 Mile Club with the goal being for club members to work towards running a thousand miles in the prison. Twelve years later, the club has grown to over fifty members and Frank Ruona continues his coaching. Many members have reached the thousand mile goal and several have run several thousand miles in San Quentin.